The TechCrunch Disrupt continues to be one of the well renowned and exciting events of technology since it was started in the year of 2010 and it has seen a rapid growth ever since. In this event, latest technology startups go for pitching their products with the hope of winning different exciting prizes. This event is also a great resource to find investors for the success of your product. In the past, participants were inclusive of Beam, Dropbox, and Mint. In the past year, over 5000 participants attended the TechCrunch Disrupt in the city of San Francisco and on top of that hundreds of thousands of viewers went for watching the events unfold online. Almost twenty-five companies are known to pitch to the panel of judges present in Disrupt Cup contest, which can be availed at a prize of $50,000. In this year, there are a plethora of events and thousands of candidates will be attending the event. You can find the full schedule online and even opt for the three-day admission pass at the price of $2,995. If you are an entrepreneur and have recently launched your startup, the TechCrunch Disrupt is considered to be the best place for gaining the top networking opportunities across the globe. Entrepreneurs from small and large companies will be present for meeting new people as well as discovering latest business opportunities. Thus, it is considered to be a great option for making invaluable connections. You need to take the information sheets and business cards about the business. The latest event featured workshops for the attendees, TechCrunch Disrupt is usually inclusive of a pitch-ready interactive workshop and the latest event was conducted by ELEVACAO along with a global platform developer program by WeChat. You will gain several tips for the development of your business from the top businessmen across the globe. Investors who attend the TechCrunch Disrupt keep looking for latest services and products to invest in. If you succeed in meeting the right person, you will get the prerequisite amount of money required for pushing the business forward. For enhancing the process, TechCrunch invites different attendees for putting their startup details on the CrunchMatch platform. The CrunchMatch will be pairing up with investors of startups, scheduling a place and time for the meeting. It is essential to gain information about the latest trends and news occurring in the industry in order to stand second to none in the competition. TechCrunch Disrupt is the right place to go in this regard as this information is hard to find in any other place. 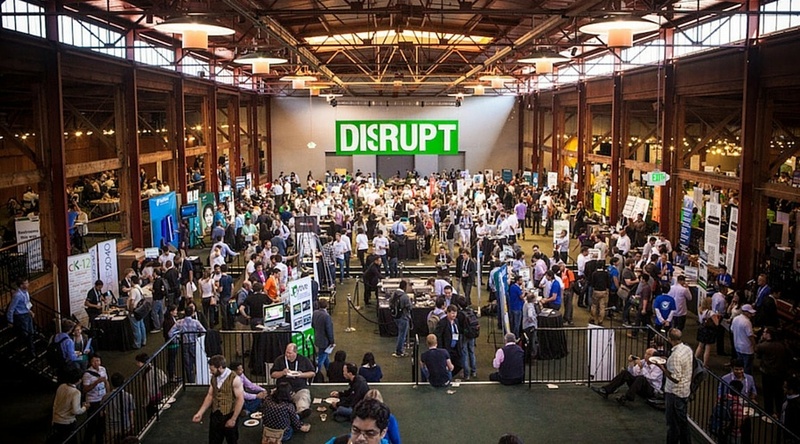 TechCrunch Disrupt is recognized to be a non-stop action of three days. You can get valuable tips from leading global enterprises such as Apple, Google, including emerging startups. You will be able to meet a bunch of people and make the necessary connections. You will also learn several details which may be useful for your business. Seeking participation in the event will help you in becoming more ready than ever for taking the business to the new heights. Media usually covers the event extensively. Thus, you will have high chances of shaking hands with the journalists and pitching them different story ideas regarding your company. Thus, you will procure rare and unique opportunities for the development of the business and take it a new level. You can conduct a research which journalists may be able to part in, have a look at the past stories done by them and bring latest ideas for them. If you are not ready for competition this year, you will be successful in witnessing the most successful pitches that will prepare you for next year, as you attend the event. You will be able to learn what you need to do to be able to prepare yourself for the next step towards winning the prize of $50,000. So if you are planning to launch a new product or service, attending the event TechCrunch Disrupt Conference is sure to assist you in rendering success to your business.